New Delhi: On the second day of “Arth – A Culture fest” presented by Dabur Red Paste at Indira Gandhi National Centre for the Arts: IGNCA, the big and prestigious media person, Arnab Goswami joined the fest. 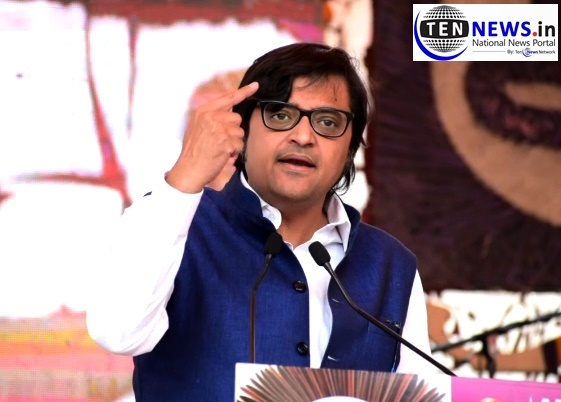 Replying to a question asked by youth, “Goswami replied that none of the media is mainstream except his channel Republic. Arth isn’t merely a festival, but a culture quest that will keep alive the meaning of our culture. This festival will focus on literature, culture, society, music, traditions, history and art. The national leg of the festival is held in Delhi. Smaller satellite shows will be hosted in Kolkata and Pune in December and January respectively.